Metal Express OÜ was established in 2005 and our main activity is sales of metal and metal products. Our employees have more than fifteen years of experience in the metal business. We work in cooperation with several producers and stockholders all over the Europe, so we can offer materials in accordance with the needs of our clients. Since June 2008 we are the distributor of Swiss company Forster Rohr & Profiltechnik AG products in the Baltic countries. In 2011 we established the affiliate company Metal Express Oy in Finland which took over representing the Forster products in Finland. Our strengths are speed, flexibility and customer friendliness. In collaboration with our partners we wish to provide stock assortment that meets the needs of our clients and to offer competitive ordering dates for other products. Our product range: stainless steel, aluminium, copper and brass, nets and perforated sheets, Forster profiles, carbon steel products. 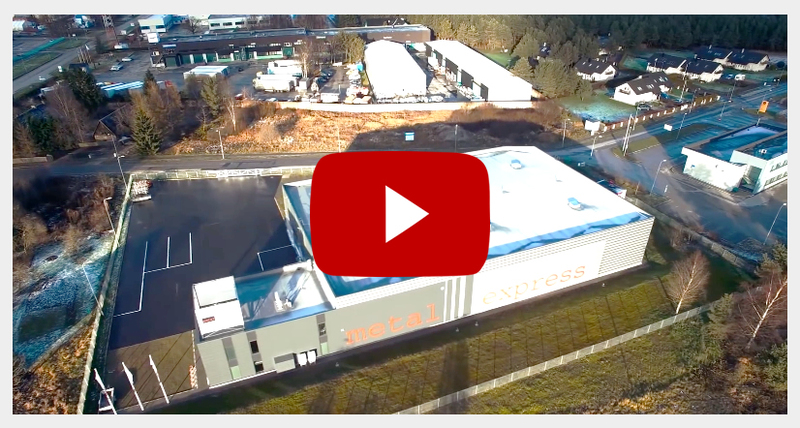 It is the goal of Metal Express OÜ to become the most preferable partner for our clients in the delivery of metal. The biggest subcontracting fair “Alihankinta 2016” in Finland.